For over 60 years, our family owned business, Burke Equipment Company, has maintained a strong tradition of offering industry leading equipment ~ Kubota, Bobcat, Toro, Walker, Landpride, Stihl, Echo and more. We are one of the top Kubota dealers in the country and one of largest dealers on the Delmarva Peninsula. Our three stores are conveniently located in Newark, Felton, and Delmar, Delaware. We invite you to browse around our web site, call, or stop in to find out more about our excellent products and how we may meet your equipment needs. Our outstanding reputation on EBay has earned us the status of Power Seller. Click on the logo. We may have just what you are looking for at the right price! 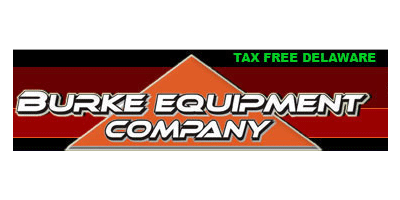 Burke Equipment Company is in the business to serve you and your needs for over 60 years.